Star cottage overlooks the beautiful Blueskin Bay, and is a 2 minute walk from the expansive Warrington Beach, famous for surfing and wind-surfing. The estuary is ideal for kayaking and paddle-boarding at high tide, and is an ideal spot to harvest shellfish during low tide. There are many wonderful walks in the area. The house it is restful and in a magical setting. Native birdlife abounds in the locality, and are seen in the Kowhai outside the porch. Dunedin City is an easy 15 minute drive, with wonderful restaurants, Otago University and the new Forsyth Barr stadium. 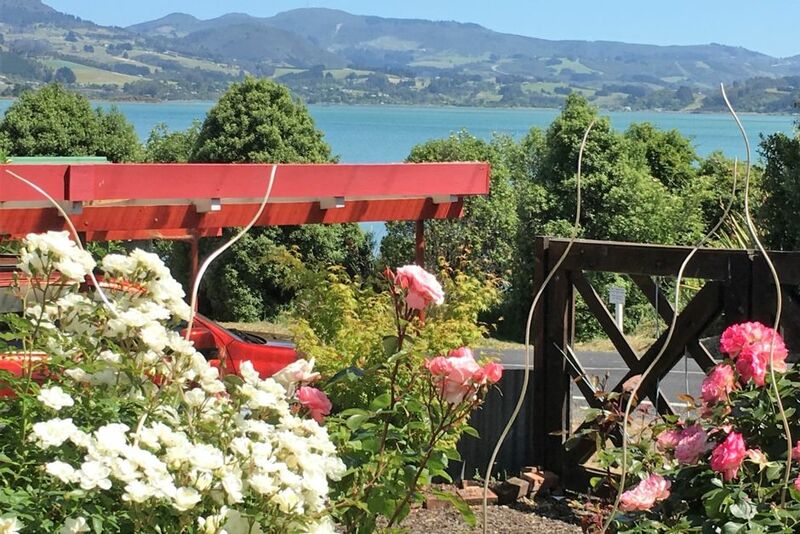 Orakanui sanctuary is an easy 15 minute drive, and a beautiful drive over to the Otago Harbour.World famous Larnach's castle and the Albatross colony are a short drive down the Peninsula road. Gateway to the Catlin's going South and the beautiful central South Island going north. Smoking not allowed on property. Small children will need to be watched with steps on Deck, Pets allowed with prior approval. Noise level to be kept to a minimum after 10pm. Residential area. Families or couples preferred. We had a wonderful holiday at Lynne's home. Well equipped and clean with all that we needed, excellent location with water views, photos don't do it justice! Thank you for sharing with us. The house was super nice. We enjoyed our stay very much. The house is lovely and was super clean. Just a short walk to the beach, but even just relaxing in the decks was already great. Lynne was very friendly during the communication. Fantastic place, very generous. Couldn't fault the accommodation. Highly recommended!